Many of the Florida wildflowers are what I call pea-like. Their flowers and seed pods are similar the familiar green pea. 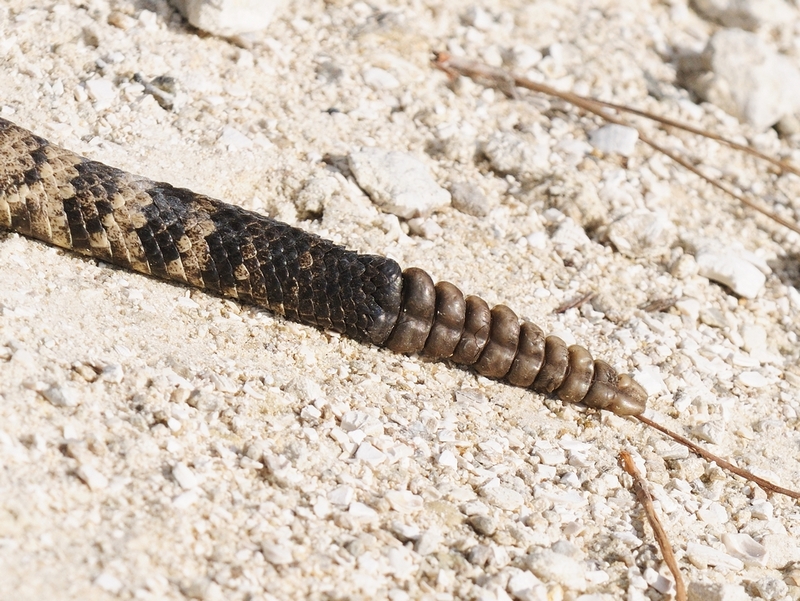 While I was at Boca Grande, I noticed this healthy one along the grade to the Fishing Pier. 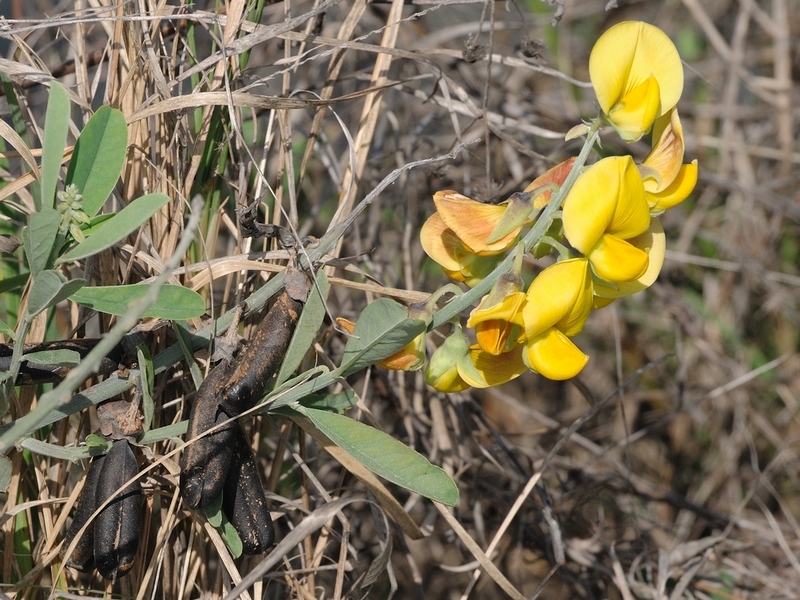 These are of the Genus Crotalaria which comes from the greek for castanet. Quite appropriate finding it near a fishing pier. you can see the pretty yellow flower in the picture. The rattleboxes or seed pods are at the lower left. At this dry stage, the seeds have seperated and they rattle quite nicely in the breeze. 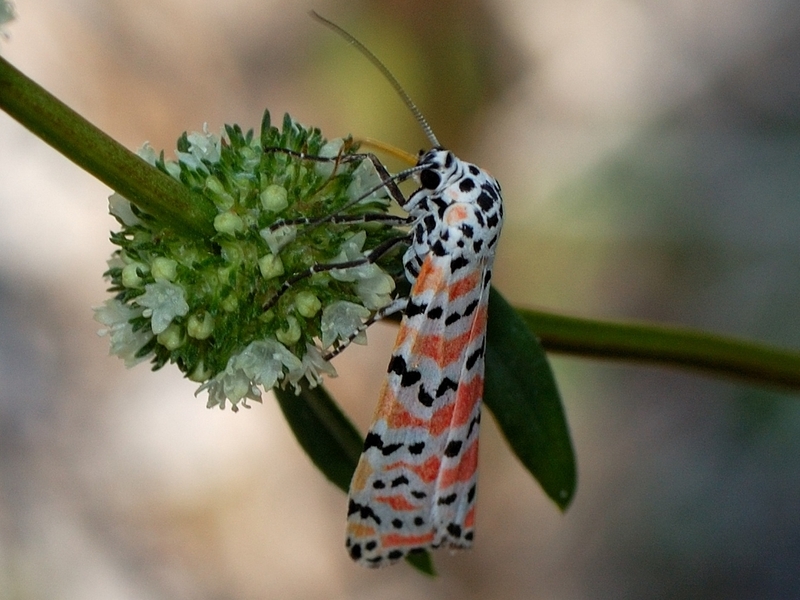 This plant is a host plant for the Rattlebox Moth Utetheisa ornatrix which is also called the Bella Moth. Here are a couple of shots of it on another plant. In spite of their bright colors, these fold their wings tightly and aren’t easily noticed when on more colorful flowers. In flight, you will see them as a flash of pink in the undergrowth. 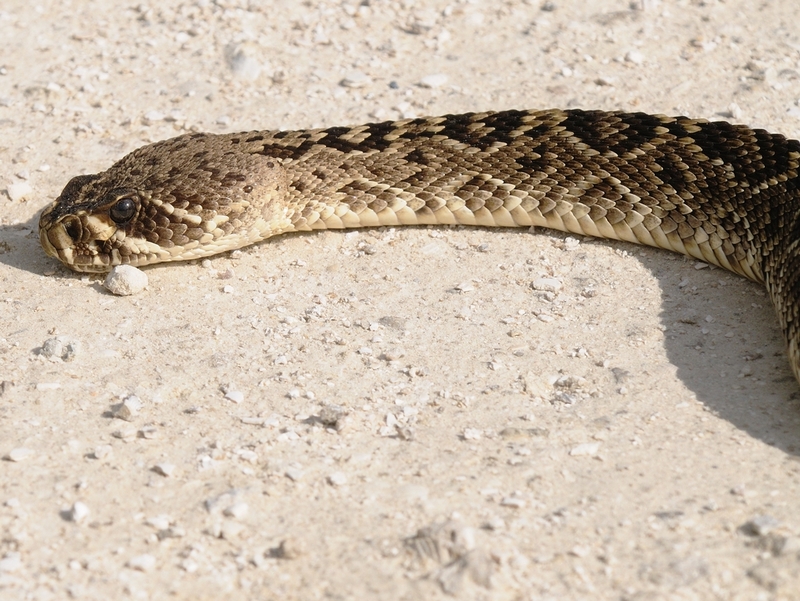 There is one other rattling thing in Florida, but, it’s not a Crotalaria, it’s a Crotalus adamanteus or Eastern Diamondback Rattlesnake. While they are pretty to some, they deserve a wider berth. Here are pictures of the front and back of one. Remember, Florida is not a petting zoo. 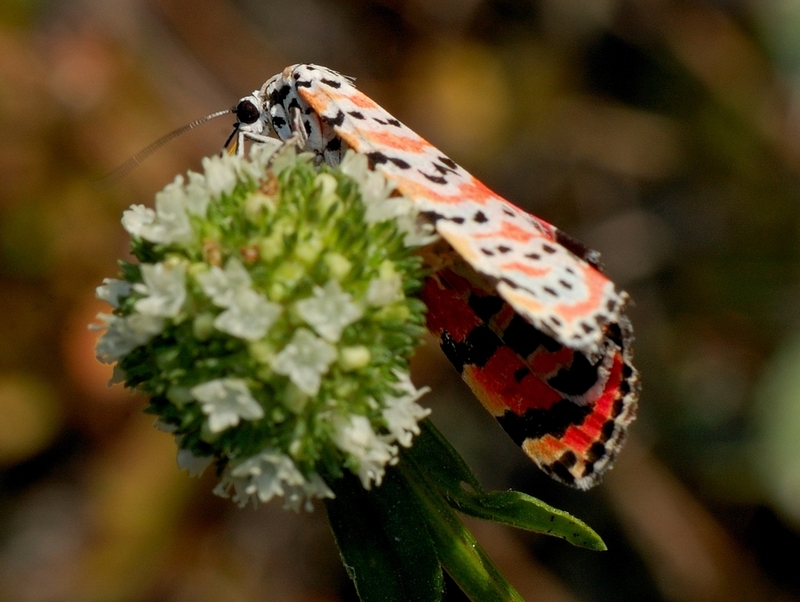 This entry was posted in Bug, reptile, Wildflower and tagged Croatalia, Crotalus, Photography, rattlebox flower, rattlebox moth, rattlesnake. Bookmark the permalink.